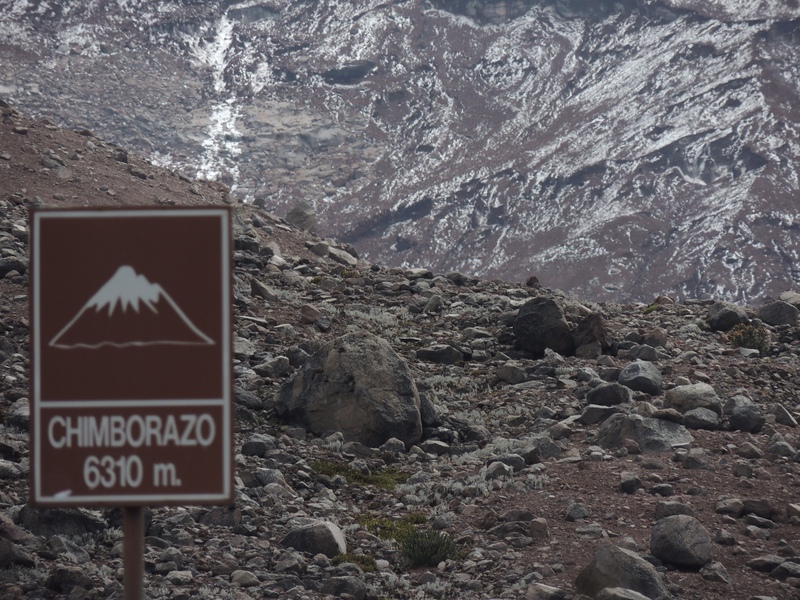 A day hike to the second refugio 5000masl is a perfect distance from Riobamba. No, you didn’t read that wrong, five dollars is seriously all you need to take a short day trip to the first and second refugios* and admire the surroundings from 1300 metres below Ecuador’s highest volcano. The summit itself towers 6310 metres above sea level, and on a clear day is clearly visible from surrounding towns including Riobamba, where I was based for this day trip. The town itself is nothing special, but many tourists passing through are planning on riding the Tren del Ecuador or climbing to the volcano summit. For those with less time and money, this day trip is the perfect option. Get up early, 5:30-5:45am. You will have more time to explore and avoid the $10USD park entrance fee, win win! Make your way from your hostal to the Terminal Terrestre ($1USD taxi, walking is free). Look for the company Garcia and pay $2.00-$2.30USD for passage to Chimborazo. Ask the driver or his assistant to advise you when to get off the bus: “Baja en la endrada del Parque Chimborazo”, sit back and enjoy the 1 hour ascent as you are taken through beautiful Ecuadorian farmland. When you get off the bus, enter the park’s main gates and take the road leading off to the right. Including the climb to the second refugio, the entire walk should take between 2-3 hours. Look out for Vicuñas climbing the misty hillsides. To return to Riobamba, hitchhikers will be pleased to hear that there are plenty of friendly drivers along this road. There are also frequent buses that can be flagged from the roadside. Check out the short gallery below for an idea of what to expect and feel free to contact me or comment below if you have any further questions. *At the time of writing, both refugios were closed for construction. No food or beverages an be bought in the park.